Why does foreign exchange matter for aircraft interior businesses? Aviation is an inherently global industry, which exposes businesses supplying aircraft interiors to fluctuations in currency markets. Aircraft interior businesses with global supply chains rely on imports to make their products and on exports to sell them to airlines all around the world. For British-based businesses the strength of the Pound is crucial. If the Pound is strong, importing products and parts becomes cheaper. If the Pound is weak, exporting British made products gets easier. This means that the ups and downs in the currency markets can directly affect a business’s bottom line. Indian airline, Jet Airways is a notable example from the aviation sector of how a global supply chain and adverse exchange rates can negatively impact your bottom-line. The company recently pinned its poor financial results on the depreciating value of its domestic currency against the US dollar. Rising fuel prices paid to in Dollars – combined with low fares purchased with the rupee – have compounded problems. In ordinary times an effective currency strategy is an important way to support profit margins. 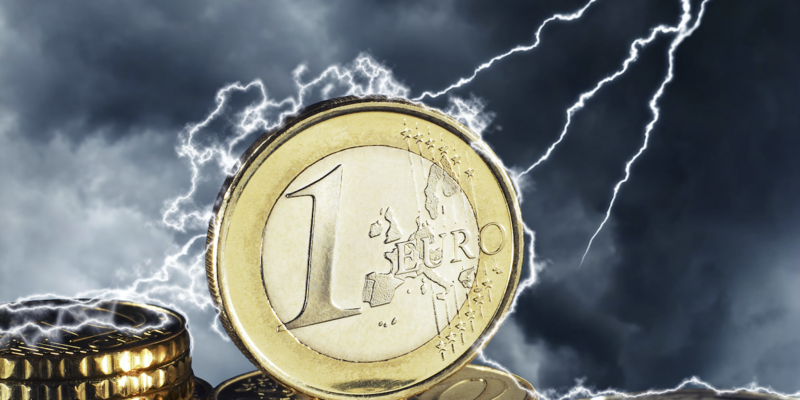 But in the current climate of Brexit and trade wars, when sudden shocks can lead to major devaluations in currencies, an effective currency strategy can be what keeps a business afloat. How has Brexit affected the currency market? Brexit has devalued the Pound. In the immediate aftermath of the Referendum vote the Pound slumped by 15% against the Dollar and while there have been ups and downs, it has never fully recovered, still trading 12% lower than pre-EU Referendum levels. However, the impact of Brexit on the currency markets has not only been to devalue Sterling; it has also created an almost unprecedented level of fluctuation in the Pound, meaning the cost of a particular currency can vary significantly day by day. For more than two years now, the Pound has responded directly to developments in the likely Brexit outcome. Signs of a deal have invariably led to surges in the Pound. Delays in the process or suggestions that we might be heading for a “no deal” Brexit, usually create falls in Sterling. In other words, buy your currency on the wrong day and you could find yourself spending considerably more than the day before. How does this impact UK businesses importing parts or materials from abroad? A weak Pound may be bad news for UK interior businesses because it means they have to pay more for the parts and materials that they purchase from abroad. It’s especially problematic for importers that don’t export to other markets, because they don’t get any of the benefits of a weakened currency. Businesses are essentially paying more for their stock than they were two years ago, which puts a squeeze on their profit margins. What if I’m a UK business exporting my products abroad? Aircraft interior manufacturers can actually be at an advantage. There is great creative talent in the UK – five of the world’s major interior design houses are based in London – but British design has traditionally been seen as expensive. The fact that the Pound has been devalued has meant that British goods have now been viewed as great value and this has been reflected in recent export figures, the Design Business Association reported that around a third of all airline seats are now made in Northern Ireland. However, UK businesses relying on a global supply chain for materials and components may also find themselves at a disadvantage and paying more than they used to for the same essential materials they need to make their products. The list of goods that will have tariffs applied by the US and China will include a number of industrial chemicals used for manufacturing textiles, which could impact interior businesses. However, more than anything the trade war has had an impact on the all-important Dollar. Moreover, while this is an issue that more directly impacts US businesses, it is likely to have a ripple effect across the global market. What can businesses do to avoid currency exposure? The first step is to speak to a currency specialist like moneycorp, which can help businesses monitor the markets, guiding them around currency fluctuations and allowing them to have a better chance of buying foreign currency when the Pound is strong and exporters when it is weak. Working with a regulated investment firm – and with a deposit – you can set up a forward contract that allows you to lock in a prevailing rate of exchange for up to two years. This can help with forward planning and if you have definite commitments it may be the best approach. In this situation however, you will be unable to take advantage if exchange rates subsequently move in your favor and you are committed to deal at the contract rate. However, if your business is more flexible you can set up a market order that allows you to specify your target rate; if that rate is reached the funds are transferred. There are no guarantees with a market order, but you can pair it with a stop-loss order, which specifies the lowest limit you are willing to accept. This could allow you to protect your bottom line whilst also having the opportunity to take advantage of movements in the market. moneycorp is a trading name of TTT Moneycorp Limited which is authorized by the Financial Conduct Authority under the Payment Service Regulations 2017 (reference number 308919) for the provision of payment services.